Daily SCRUM Meetings are usually held in a meeting room with whiteboards. In the meeting room, team members stand during the meeting. However, nowadays it is very common for teams to be geographically dispersed. In such cases, you should use web conferencing tools, such as WebEx and Citrix Online, to have more effective meetings. These tools are essential for managing an Agile team that is geographically dispersed. Through the use of web conferencing tools, you can share other agile project management tools, such as plans, virtually. This means everyone, regardless of their physical geography, can view the same plan at the same time. via Conducting the Daily SCRUM Meeting as an Agile Project Management Tool. Sometimes Daily Scrum Meeting are not working. The meetings don’t release the power of the team get together in a “Scrum”. Jason Yip has described a number of Smells (anti-patterns) in his well-known article about daily meetings. The feel of an effective stand-up is about how you know when things are going right. Smells are about how you know when things are going wrong. It is important to note that even if you have no smells, this does not mean the stand-up is going right. It just means that it doesn’t “stink”. Please read the full article It’s Not Just Standing Up: Patterns of Daily Stand-up Meetings for complete descriptions of these smells and patterns how to solve these problems. We are all familiar with the two types of people in Scrum: Pigs and Chickens. In reality, people are not always either or. There are sometimes cross-breed of Chickens and Pigs. Chigs are part-time participants who incorrectly view their role as finding problems to derail a project. Piglets are those part-time participants that correctly view their role as making a project successful, even when then are only participating on a part-time basis. 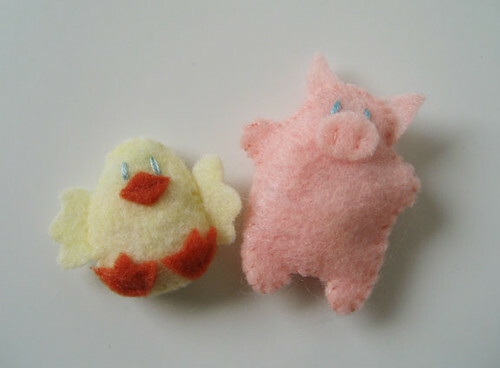 via LitheSpeed’s LitheBlog: Exploring Lean and Agile: Chickens, Chigs, Pigs and Piglets. Mike Vizdos article in Methods & Tools about The Daily Scrum Meeting. Please read It’s Not Just Standing Up: Patterns of Daily Stand-up Meetings for more details on each item. As a Scrum Master you have to really listen to what the guys in the team are presenting. Some impediments are explicitly mentioned, but others may be hidden “between the lines”. The team member may not actually discovered the impediment yet. It is easier if you have a checklist of impediment categories that you could have in your back head during the Daily Scrum. Tom Perrys talks about this in a presentation “Impediment Hunting” at Agile Roots 2009 conference. This list of categories can be used as a checklist be the Scrum Master during the Daily Scrum. What one thing helped to accelerate my progress yesterday? The presentation slides are also available to download. Daily Scrum is not only about that you as a team member presenting your status and possible impediments. When the other guys are talking it is equally important that you practice active listening. You should really listen to what they are saying and also what they not mention. Remember that you are in the same team working together towards the same goal. How can I help you doing your job! This 4th question will help you to run better and more productive Daily Scrums. via 5 min on Scrum | The 4. Question in a Daily Scrum. This blog contains thoughts, ideas, and tips about modern and efficient software development methods.